For refugee students and the communities they are moving into, intercultural understanding and integration are critical. Over the past 69 years, AFS Intercultural Programs has helped people from different cultures learn how to live together and become global citizens through a worldwide network of more than 40,000 volunteers. Working with schools and education experts around the globe through our study abroad and other programs, AFS has developed educational strategies and activities to help on the path to integration. 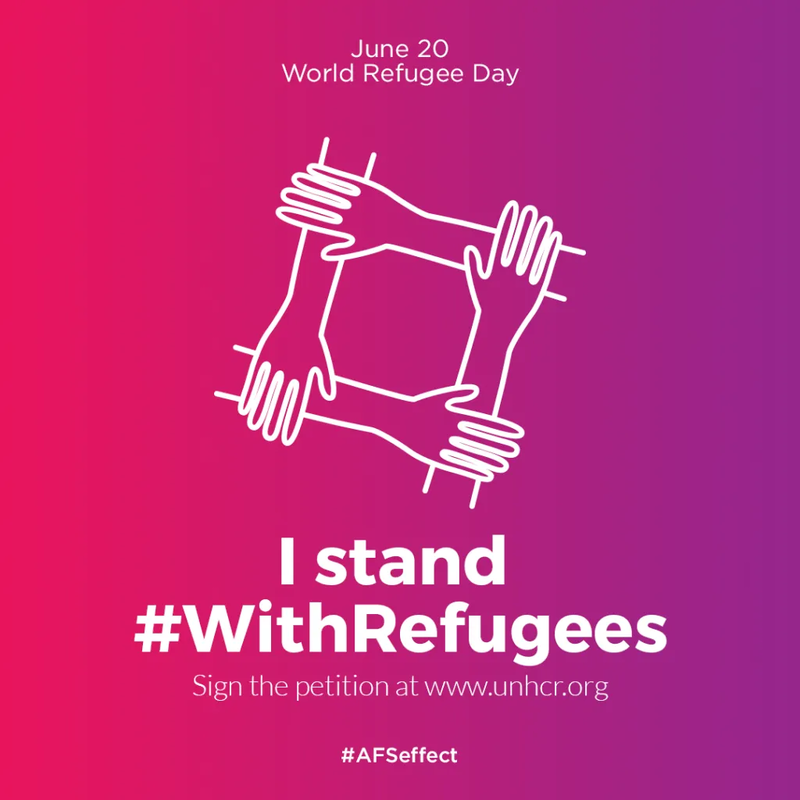 Today, on World Refugee Day, Melissa Liles, Chief Education Officer for AFS Intercultural Programs, shares some of these tools with you. This story is reprinted with permission from the Asia Society EdWeek Blog, posted on 20 June 2016. Classrooms can be the ideal safe space for children to build community beyond their homes and neighborhoods. So, for many refugee families, after security, housing, and health concerns are addressed, enrolling children into local schools is their top priority. Schools not only ground students in a supported daily routine, they can also play a crucial role in successfully integrating children from recently immigrated families into a new, unfamiliar culture. The presence of refugees in the classroom also provides a learning opportunity for all people connected to it: not only the displaced students, but also the students from the local host community and the teachers themselves can use this as a unique chance to practice being a global citizen “in real time.” This approach recognizes the positive aspects of, and growth potential in, a very complex and challenging situation. To achieve this, schools must first be welcoming, supportive and caring places where differences are embraced. From the outset, administrators and teachers must try to create an environment where cultural missteps can be transformed into teachable moments for everyone, and where respect and open communication are core values. Easier said than done: No matter how empathetic, open, and tolerant we may want to be, accepting people who are different from us can be difficult. In the case of refugees, this challenge is only compounded when stereotypes and media coverage fuel prejudices, and discrimination generates distrust. Intercultural understanding is a powerful tool to help individuals, families, and schools “learn to live together,” one of the four pillars of 21st century learning.Using non-formal learning methods to help people make sense of and cope with real-life experiences in new environments has helped individuals, families, and diverse classrooms and schools move beyond fear and suspicion to respect and appreciate one another. We are not naïve. 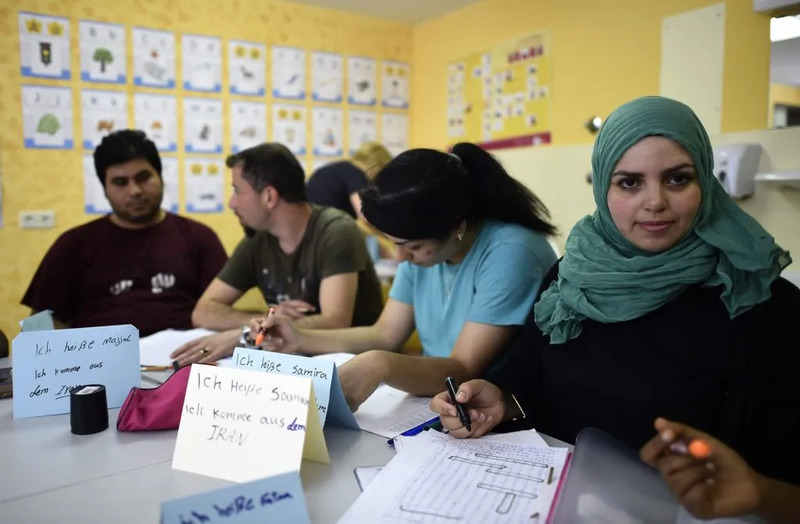 Unlike the trauma experienced by many refugees, students on exchange programs (like those facilitated by AFS) willingly choose to temporarily relocate into unfamiliar communities and cultures. Sometimes these transitions are easy; sometimes bigotry prevails. If all else fails, they can always return home. Refugees do not have the same privileges. Many need specialized support from trauma counselors to process the tremendous changes they are undergoing. And, ideally, they will have globally competent guides who can help them translate not only the new languages they are encountering, but also the new values and ways those are expressed in everyday actions and behaviors. Nonetheless, some fundamental intercultural learning exercises can be readily and effectively applied in the classroom to foster global citizenship and help all parties grow. Intercultural understanding and integration (where newcomers introduce their own cultural values into a community and enrich a greater, multicultural society) should be the focus of educational activities, not assimilation (trying to force others to conform to our own dominant values, attitudes, ways of being). Discuss the history of both indigenous peoples and refugees in your country, weaving in current events and refugee stories. Remember that everyone has a role to play in intercultural learning, as well as new things to share and learn. To facilitate this dialogue, devote some class time to help students get to know their classmates, where they come from, and why and how they landed in your country, even if centuries or millennia ago. The stories of refugee students may be more complicated than those of others, so consider assigning homework about the topic, watch and analyze a short video about refugees in class and integrate activities in your coursework to help students understand the basic terms and events related to refugees. 2. Encourage students to share their cultural stories. Start by running a “What is culture?” workshop to explore what culture is and how all of us are profoundly shaped by it. Be sure to emphasize how culture is much more than nationality. Then, once the new students in your class master the local language sufficiently and are ready to share, invite them to give a short presentation about their family, school and friends in the country of origin — or other dimensions of their cultural identities that are important to them. At the same time, ask your other students to trace their roots, too. Sharing personal stories and self-identities reinforces a sense of pride and achievement in students, while helping schoolmates relate and empathize with newcomers. You can use social media, storytelling, or role-plays to bring to life even more elements of cultures. 3. Confront stereotypes and prejudice with empathy. Recognizing, challenging, and reframing stereotypes and misrepresentationsis more important now than ever before. In unfamiliar situations, with biased media reports and without support, many young students may turn to stereotyping their new peers, developing prejudice for a lifetime. Classroom activities should help the students understand what stereotypes are, how they are created, and what better ways there are to deal with the unknown. Build on the students’ self-presentations and explorations of personal roots to hold a discussion about stereotypes and prejudice. After discussing what everyone has in common, help the students understand the diversity that exists within the same age or gender group, demonstrated through their personal stories. The key takeaways for students should be to suspend judgment when they meet new people, that “one size doesn’t fit all,” and to understand how limiting prejudice and stereotypes are. 4. Foster action that appreciates difference to solve problems. Empowering students to connect, empathize, and collaborate are 21st century skills that all young people need to successfully live and navigate increasingly diverse communities in an interconnected global world. Solving complex, real-world challenges and implementing sustainable solutions requires that students act in ways that acknowledge and embrace differences. One way to increase the awareness of diverse people in your own backyard — and the issues affecting them — is to do a community mapping activity with all of your students. With this activity the students will explore and better understand needs and opportunities in their neighborhood. Explore how these local groups and their needs are related to others in other areas of your country, your region or beyond. Compare the maps of the new students with those who have grown up locally: How do these perceptions differ? What are different ideas to act on these issues? Even better, beyond discussing and thinking, take action: Get your class involved in a local volunteer activity that involves different cultures. Collaborating on small yet meaningful projects — and pointing out how these extend to the world beyond — helps everyone gain new perspectives about living in a multicultural world and gain the skills they need as active global citizens. If it seems overwhelming to do all of the above, know that you are not alone. The greater Global Citizenship Education movement, including AFS, is ready, willing, and equipped to support your efforts globally. Working with educators to teach students about diversity, respect and critical thinking is key in creating open-minded global citizens who are curious and proactive in accepting new members and adapting to unfamiliar circumstances… and it’s what we do every day.